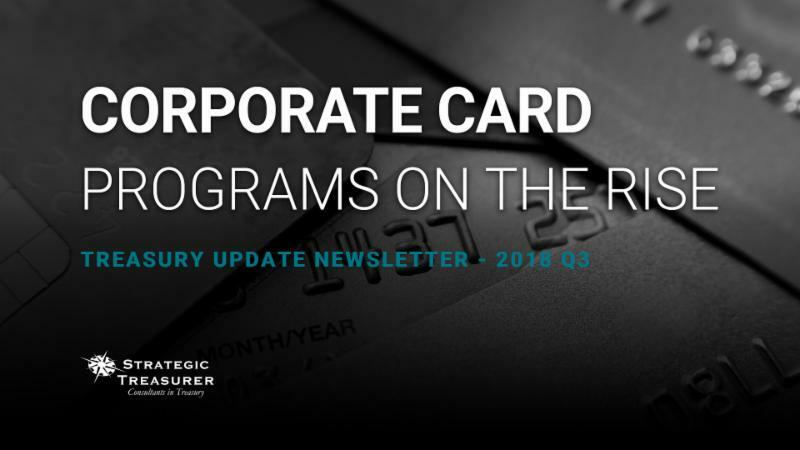 Current research indicates corporate card programs are growing, find out all the details and more in this edition. 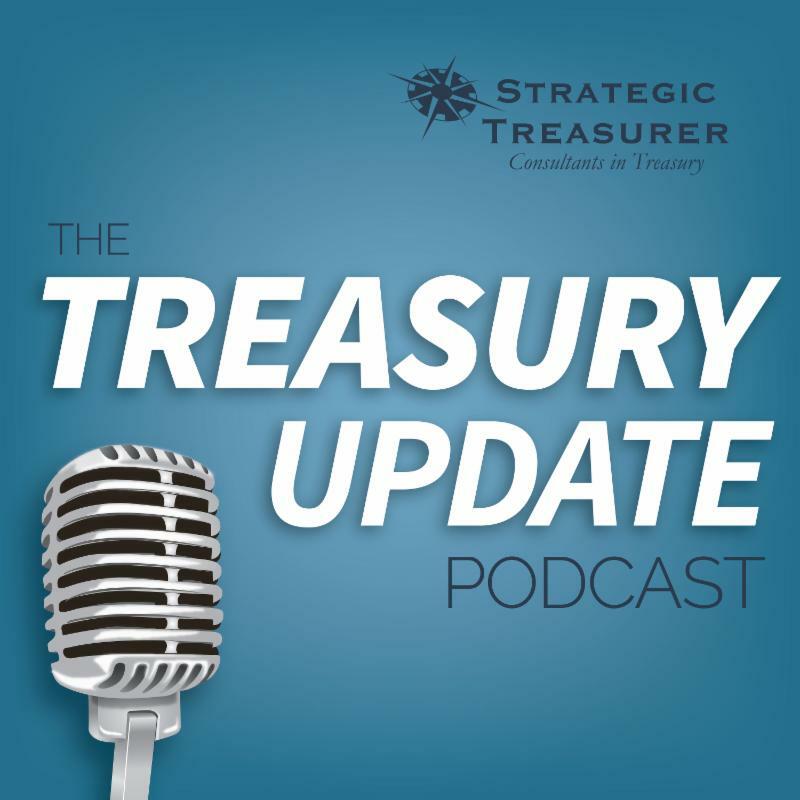 The use of cards in the corporate treasury environment has shown to be steadily increasing. This article draws upon recent Strategic Treasurer survey data to provide a snapshot of the current state of cards within the corporate treasury environment, analyze some of the primary factors influencing growth, and finally, evaluate the expected impact of new technologies and services on the industry moving forward. 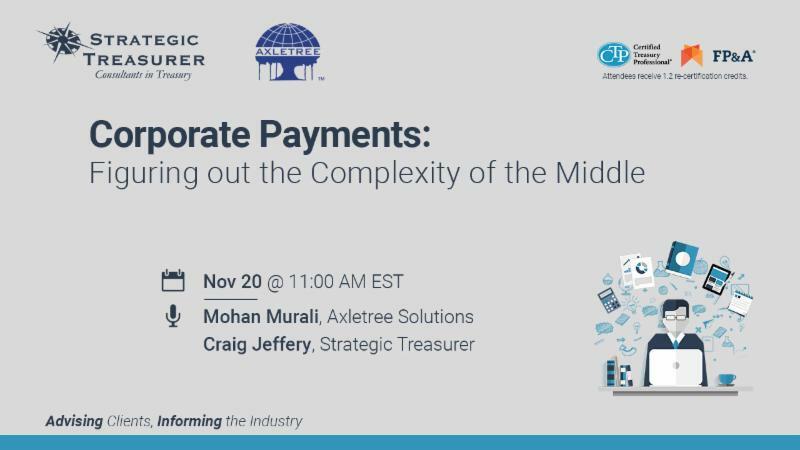 Join Us for Our Upcoming Webinar on Corporate Payments! From new financial messaging formats to new technologies for initiating transactions, evolution within the payment landscape has proven difficult for many companies to keep pace with. These challenges have proven particularly difficult to overcome in the area of financial messaging format integration and translation. These “middle-man” processes are those that commonly cause the most headache for practitioners and are where the majority of obstacles and delays occur. However, there are functionalities available to address these issues. This session will offer a data-driven look at the current state of the payments environment before examining real-world case studies where companies have successfully developed end-to-end payment processing capabilities for their treasury operations. 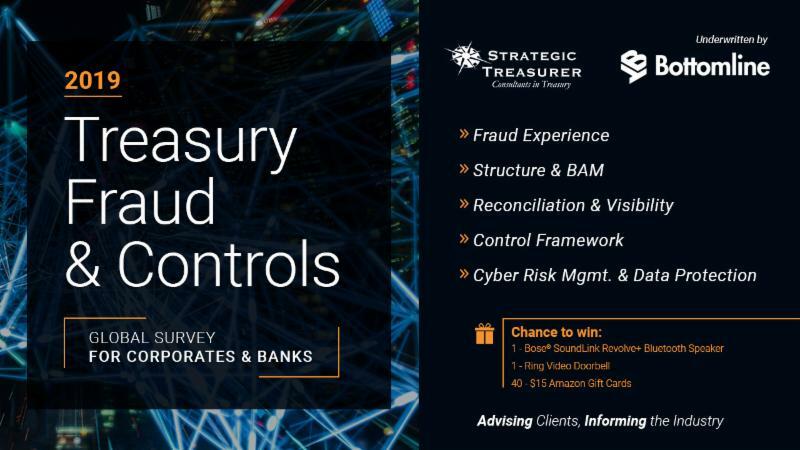 Our 2019 Treasury Fraud & Controls survey seeks to evaluate the current and projected impact of fraud on the finance and treasury environment. Practitioners are polled on their experiences with fraud and on the range of controls, safeguards, and security practices employed to protect their financial assets and information. Participants who complete the survey will be entered in a drawing for a Bose Soundlink Bluetooth Speaker, a Ring Video Doorbell, or one of 40 - $15 Amazon gift cards. 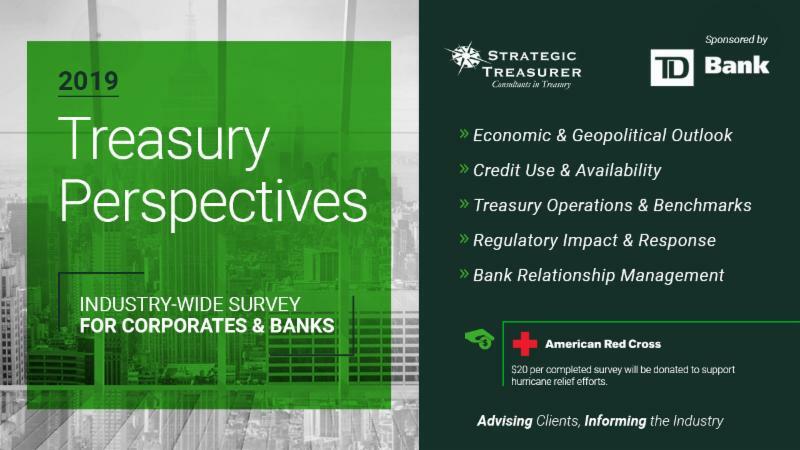 Strategic Treasurer will donate $20 to the American Red Cross in support of hurricane relief efforts for every completed Treasury Perspectives survey. Learn more about these technologies and evaluate some of the top vendors in each industry with our free Analyst Reports.